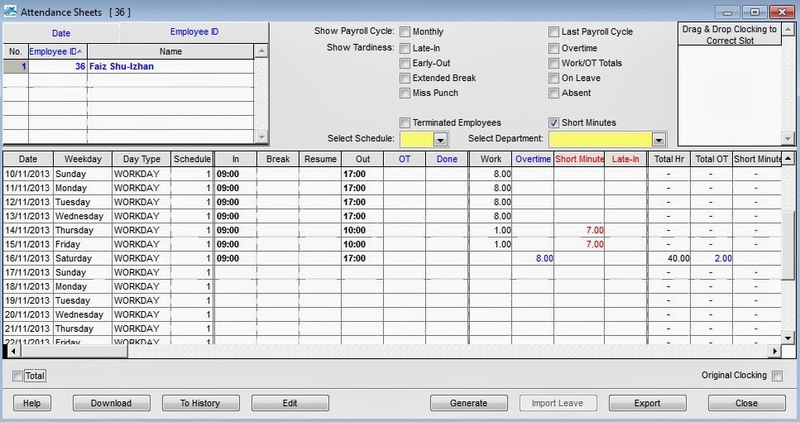 TCMS V2, the central solution for time attendance and access control by FingerTec is able to calculate overtime under different settings and circumstances customized by the user. 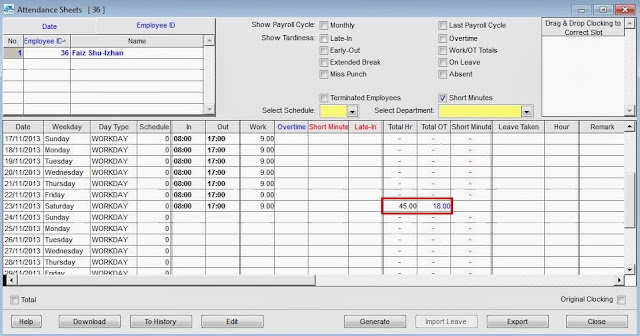 Generally, TCMS V2 will treat extra working time as overtime or OT when it exceeds a predefined value that is set by the user. 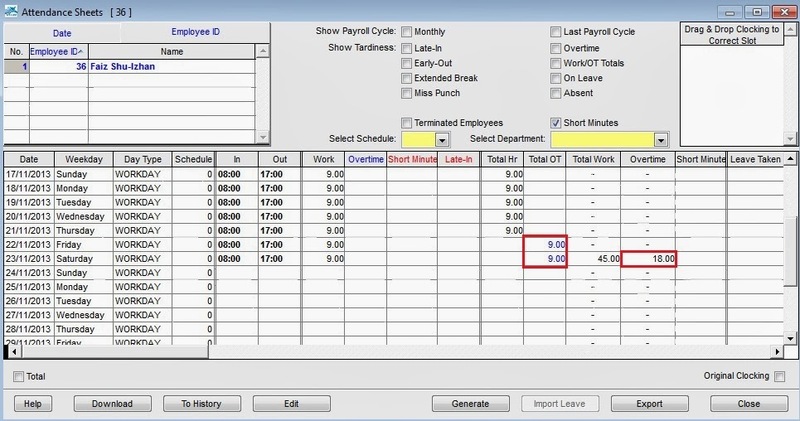 Users can choose to accumulate the extra time either by week or by month. 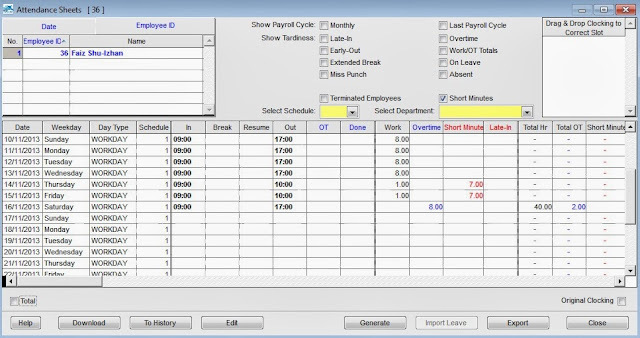 Read more for a few configuration examples that can be used according to a business organization's requirements. 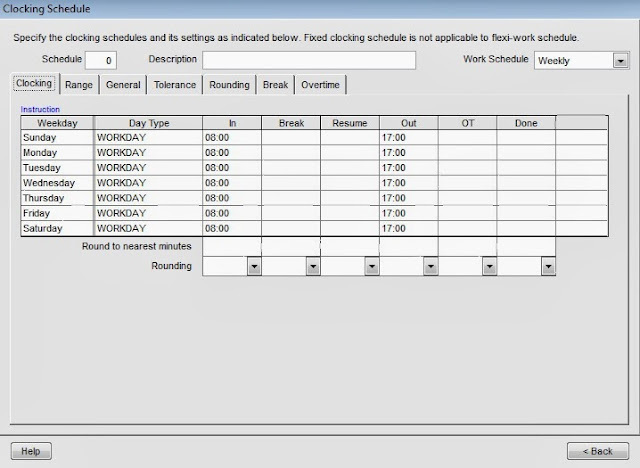 Check on Daily Totals, Auto Calculate OT and 7th Day OT if the rule applies. 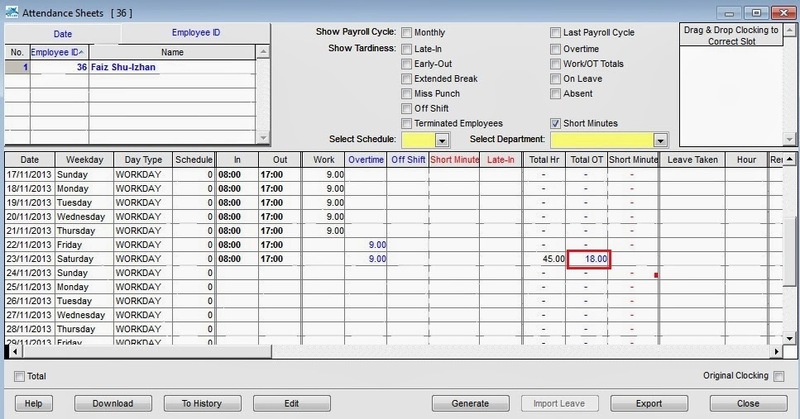 For example, if a predefined working hours in a week is set at 40 hours and an employee works a total of 45 hours for that particular week, 5 hours will be considered as OT for the employee. 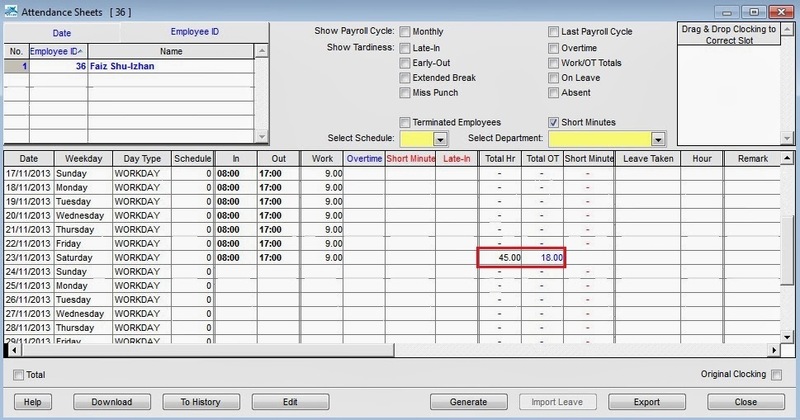 If the total working hours does not exceed 40 hours, however, TCMS V2 will treat it as normal working time. Below are examples of configurations that can be used and its necessary steps needed. Without enabling the Daily Totals, Auto Calculate OT and 7th Day OT settings. 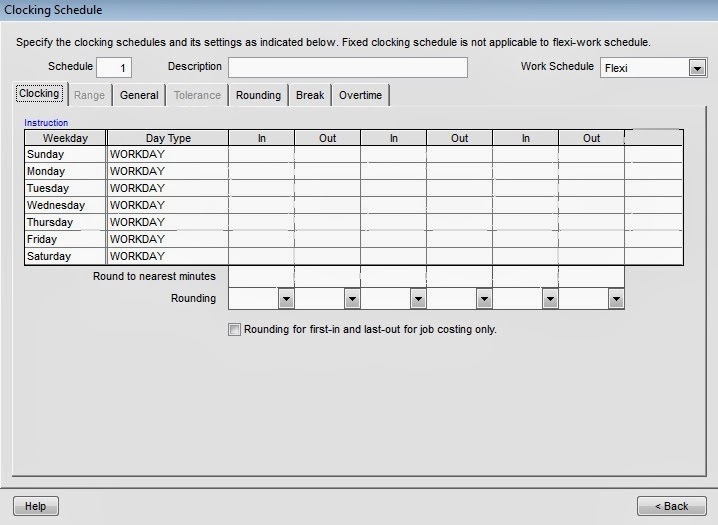 Create the group duty roster and set Overtime Only After to 45.00 hours per week. Customized for our clients in USA, TCMS V2 also has the 7th Day OT option. 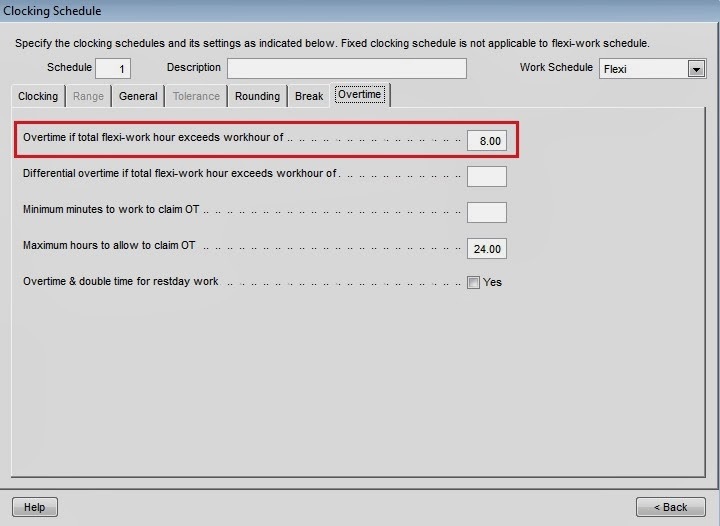 This is because of a ruling by the Californian State Government, whereby an employee is entitled to overtime whenever the employee has worked more (a) than 8 hours in a day, or (b) 40 hours in a week, or (c) when the employee has worked for 7 consecutive days (in which the whole of the 7th day is considered as overtime). 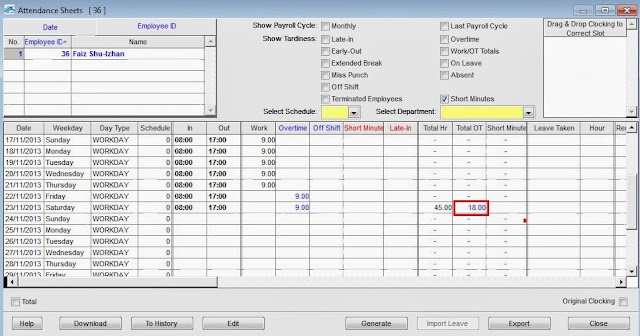 In this case, the user needs to set up overtime after 8 hours in a flexi schedule, and in the roster, overtime after 40 hours per week and 7th Day OT. 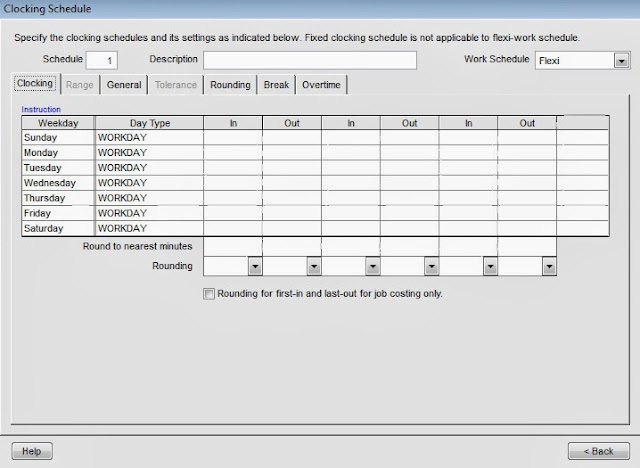 Thus, the overtime will be calculated if the user works more than 40 hours in a week or has worked 7 consecutive days (even if less than 40 hours total). 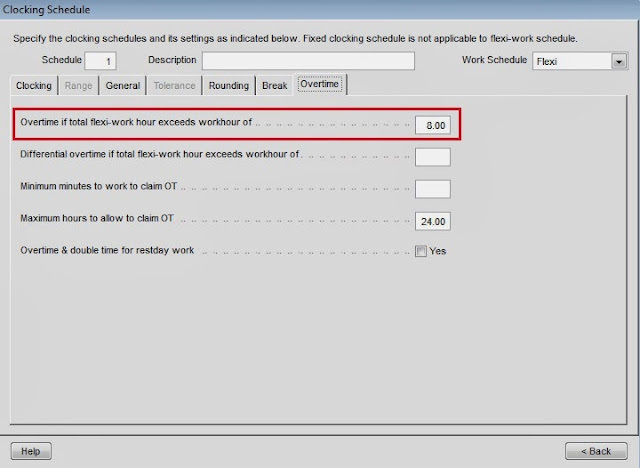 Configure Overtime if total flexi-work hour exceeds workhour of to 8.00. Can you let me know which report that you are using ? 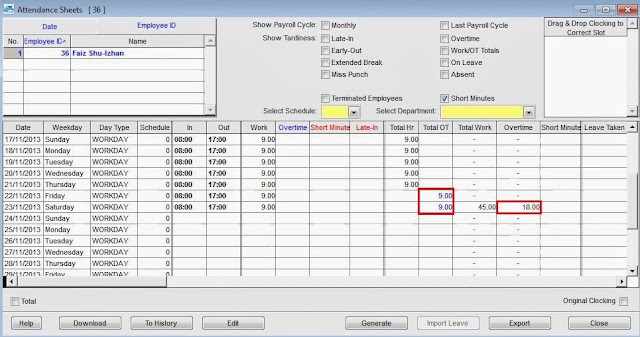 I have ran test using the Employee / Weekly Time Card report and able to preview the total working hour and total overtime. Appreciate your feedback. Good day. Kindly provide us with a copy of your backup database, so that we can check your issue further, and assist you accordingly. You can send the database to our support team email address at support@fingertec.com . Thanks.